ESA is pleased to announce a new school project for students between the ages of 8 and 15, which will kick off in the beginning of October 2018 and run throughout the school year. 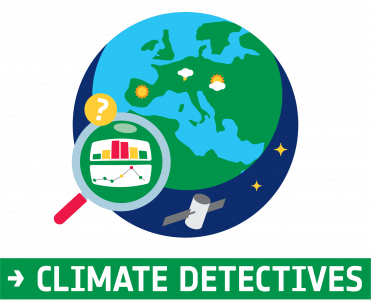 Students will be challenged to ‘make a difference’; they will identify a climate problem by observing their local environment and be tasked to investigate it as ‘Climate Detectives’ by using satellite images or ground measurements. Based on their results, teams can propose ways to monitor or raise awareness of the problem. The students will learn about climate on Earth as a complex and changing system and the importance of respecting our environment.